Mister Rogers arrives with a duffel bag and demonstrates the bag's zipper. Inside the bag, he has a pair of boots and another smaller bag with zippers. Mister Rogers mentions that zippers were originally called "clasp lockers" before he shows a film about how people make zippers. 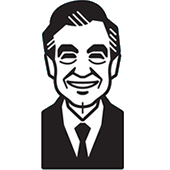 Following the film, Mister Rogers talks about asking questions when you're curious. In the Neighborhood of Make-Believe, the Trolley delivers the mail which includes a lesson on Native American culture for X the Owl from the Owl Correspondence School. Meanwhile, Neighbor Aber agrees to be in charge of Prince Tuesday's day and night care while the King and Queen are away. Mayor Maggie talks to Daniel about the importance of sharing feelings before she sings Then Your Heart is Full of Love before Lady Aberlin talks with Prince Tuesday about his feelings. Hurt by his parents leaving him while they go on a trip, the Prince is provided a telephone number where he can reach them when they are gone. Back at the house, Mister Rogers continues his discussion of different types of day and night care and the many feelings that go along with those arrangements. Lastly, Mr. McFeely delivers a large box that Mister Rogers uses to demonstrate different types of zippers and fasteners. King Friday provides the telephone number for the place he and Queen Sara will be staying: 111-222-3334. The delivery made by Mr. McFeely to Mister Rogers is an object that was seen in a previous episode. Mister Rogers asks viewers, "Do you remember the time we visited Mrs. Hartman at the Neighborhood kindergarten?" This visit can be seen in Episode 1461. Segments from this week's episodes are featured on the VHS release When Parents Are Away. This episode is featured on the Child Care Video Library VHS release Hellos and Good-byes. Special thanks to: Talon, Inc.
© 1983 Family Communications, Inc.